It is October now, and autumn is firmly under way. 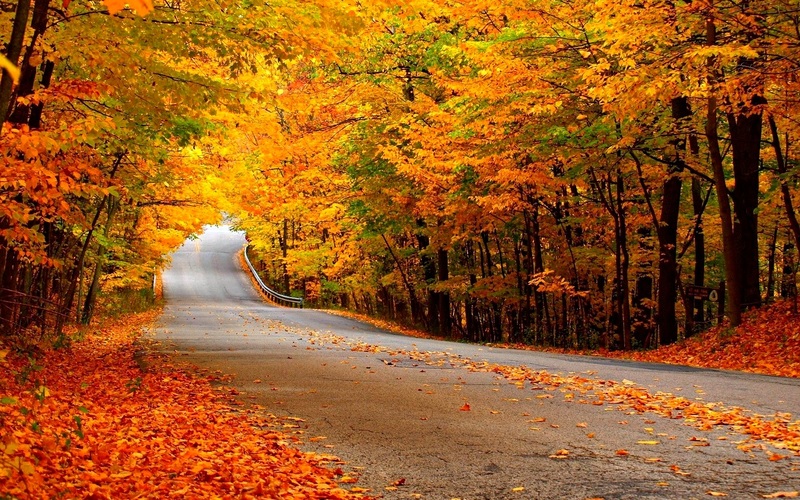 For me, autumn has always represented a real turning point in the year. Jumpers, boots and long dark coats come out from summer storage, the leaves change colour, Halloween/All Saints and Thanksgiving come and go, and then Christmas around the corner. But first, can we pause to talk about the changing colour of the leaves?! This is, without doubt, one of the primary reasons why autumn is my favourite season. There is something so magical and mystical about those red, orange and yellow hues. And the lovely low light of a clear autumn’s afternoon is just perfection that I wish I could bottle up. The reduced hours of daylight at this time of year does tend to weigh on me a bit, but after Halloween has passed, the countdown to Christmas firmly begins (unless you’re celebrating Thanksgiving at the end of November), and I start getting into a festive mood! I also savour the delicious foods that come with autumn, such as the warming stews and mouth-watering crumbles and other spiced puddings. However you experience this change of season, I wish you all a beautiful and bountiful autumn harvest. Once your baby has developed enough coordination and is comfortably finger feeding, you can try him on a spoon. Initially, you will need to place a small amount of food on his spoon and guide his hand to his mouth. 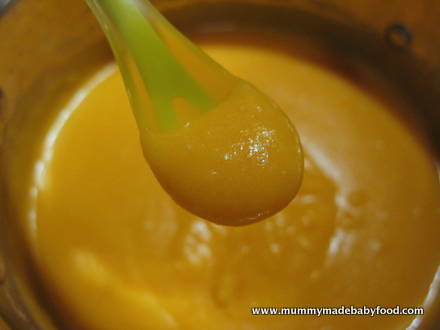 Once your baby understands the concept of spoon feeding, you can try letting him scoop and feed himself, although I would recommend that you also have a spoon in hand to catch any food that doesn’t quite make it into his mouth! Casseroles and one-pot meals are an easy option when your baby is first starting out on solid food. These types of dishes typically combine protein and vegetables, so as long as you structure it properly, you do not have to worry about your baby not getting a balanced meal. A lot of these dishes can also be adapted for a slow cooker, an extra bonus in time saving! Offer your baby fruit with his breakfast to ensure that he takes in at least part of his minimum daily fruit and vegetable requirement at the start of the day. Fruit also aids in digestion, helping to keep your baby’s bowel movements regular. For smaller babies, I tend to avoid fruit after lunch or dinner, just before a long sleep session, as if it does trigger a bowel movement, it can upset some babies and disrupt nap and sleep times. The 1st of October is World Vegetarian Day, so what better way to celebrate than with this Tasty Red Lentils recipe? This is a lovely one-pot meal for babies who are just starting out.